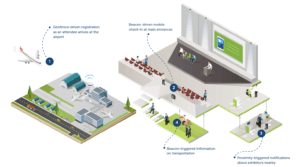 The term iBeacon and Bluetooth Beacons have been used interchangeably. iBeacon is Apple’s version of the Bluetooth Beacon concept, which enables both iOS and Android Mobile Apps to receive signals from beacons and perform an action accordingly. Simply put, iBeacon Singapore technology allows the Mobile Apps to get location based information and deliver pre-programmed content to users who are in that particular location. The technology which enables such communication is the Bluetooth Low Energy (BLE) module. Bluetooth Low Energy (BLE) is the new Bluetooth mode that is provided within the Bluetooth 4.0 standard. Most recent smartphone have the latest Bluetooth chip that is compatible with Bluetooth 4.0. As the name suggest, BLE uses low energy to connect to low data rate devices and transmit data over short distance. How different is BLE compared to its predecessor, the Regular Bluetooth? Power Consumption: BLE has a lower energy requirement and the battery of these devices can last much longer. Low Cost: BLE is relatively cheaper than the regular Bluetooth. Application: BLE is more ideal for applications that only require periodic transfer of data compared to regular Bluetooth that is used for applications that need constant communication. How does the BLE communication work? BLE communication is based on “BLE Advertisements”, or small amounts of data that is broadcast at regular intervals by Beacons. The communication is a one way traffic. 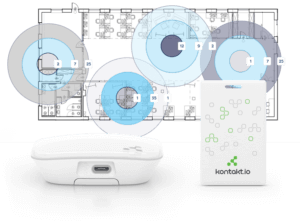 Beacons broadcast pre-programmed packets of data in regular intervals so that they can be discovered by other devices such as smartphones. The smartphone Apps can then trigger an action such as pushing out messages. 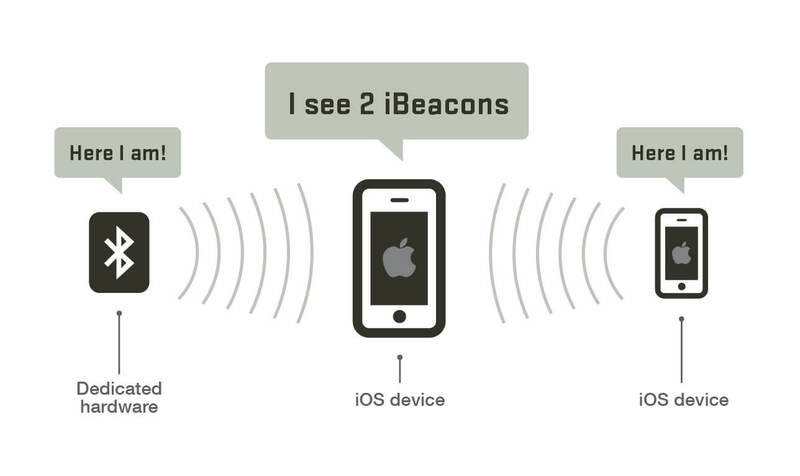 The iBeacon standard sets a broadcast interval of 100ms. The shorter the intervals between broadcasts, the more the battery consumption, but faster the discovery by other devices such as smartphones. 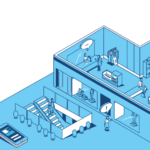 The typical broadcast range of BLE is up to 100metres, enabling use cases such as indoor positioning and navigation. Apple has standardized the format of BLE broadcasts with the iBeacon format. Under this format, the data packet comprises of four pieces of information. (Universally Unique Identifier) UUID: This is a 16 byte string meant to distinguish the relevant beacon from other beacons deployed in the region. For example if Brand A has a group of beacons in Singapore, all the beacons under Brand A will share the same UUID. This allow the specific mobile APP of Brand A to know which advertisements are received from the Brand A beacons. Major: This is a 2 byte string meant differentiate a small group of beacons under a bigger group. For example, if Brand A has 5 beacons in a shopping mall, all 5 beacons will have the same major. This allows Brand A to know which shopping mall in Singapore, the customer is located at. Minor: This is a 2 byte string used to identify individual beacons. For example, within the shopping mall, a beacon in floor 1 will have its own Minor to different itself from the beacons located at the other floors. TX Power: This is used to determine the approximate distance from the beacon. TX power is the signal strength received 1meter from the device and such this strength, the approximate distance can be gauged. A device receiving this data packet will understand that it is from the Brand A Beacon (UUID) in the Orchard Road Plaza (Major), at the 1st level (Minor). 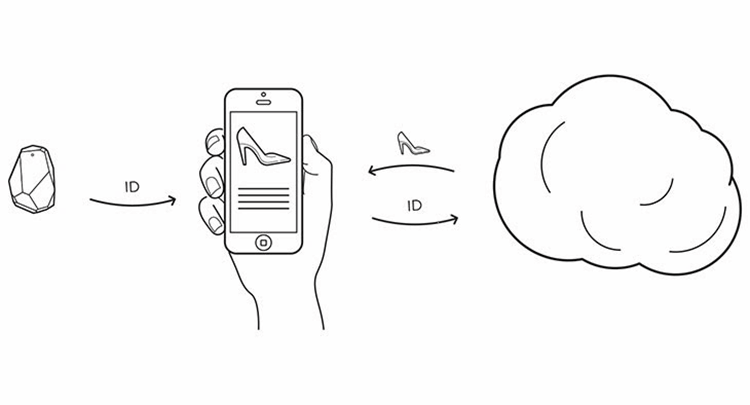 What’s so great about iBeacon? With a network of iBeacon Singapore, and retailer would have information on their customers, and push out highly meaningful messages such as sales and advertisements directly to their smartphones. For more iBeacon Singapore use cases, please click HERE. iBeacon is a new disruptive technology that changes the way we communicate with consumers, merging the boundaries between the physical and digital worlds.